If your customer bought their vehicle outright and paid £26,500 for their car and their motor insurance pay out is £14,000, RTI can pay up to the difference of £12,500 to top it up to the original £26,500. 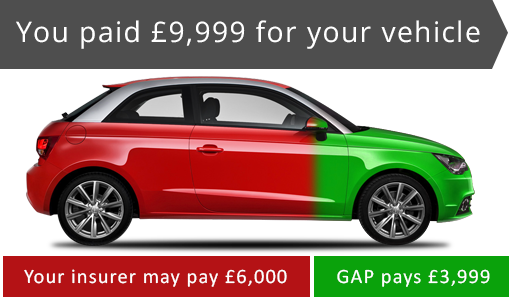 GAP is suited to customers taking out a finance agreement and may pay the difference between the road risk insurance settlement and the amount your customer still owes. Combined GAP and RTI insurance could pay out the greater of either the RTI or GAP pay-out, protecting your customer whatever their circumstance. Highly recommend car hunters! Sold our car for us within a week! Couldn't have asked for a better service met all our needs! Very professional and friendly team! Will definitely use in the future to buy or sell! Thanks very much car hunters!